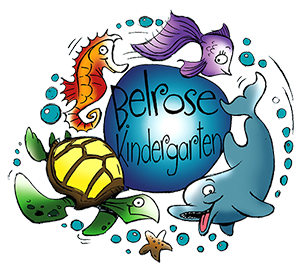 The Callagher family has been operating Belrose Kindergarten since 1999. Susan and Steven owned and ran the centre for 15 years, while also raising their three girls. For Rhian, Nicci and Bhree the Centre has always been like a second home and they could often be found helping younger children as an older sibling would. This enjoyment of educating and caring for children has continued into adulthood. In 2014, Rhian and Bhree took over the operation of the Centre, with the ongoing support and guidance of their parents. Susan is now enjoying a return to a more hands-on role with the children, while Steven continues work behind the scenes. Nicci is also working at the Centre while studying a Bachelor of Education (Primary). The sense of family is what makes Belrose Kindergarten unique. Those associated with the Centre become more like an extended family. The staff feels it is a privilege when parents engage the service and are thrilled to have the opportunity to nurture, educate and care for the children through their early learning experiences. With decades of experience between them, Rhian, Bhree and their team look forward to welcoming you to the Belrose Kindergarten family.